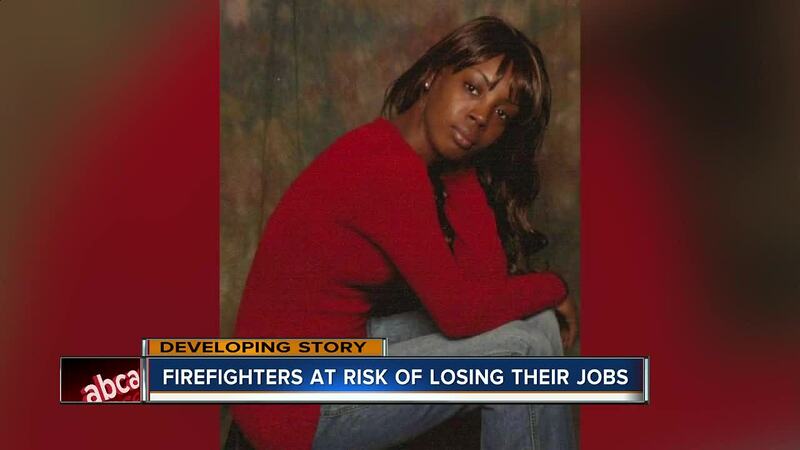 TAMPA — Four Hillsborough County firefighters are at risk of losing their job for not doing enough for a woman who died. Monday, Hillsborough County administrators held a second hearing and asked some tough questions. "Courtney cries every day. It's disrupted our family," said Jeannette Gialousakis, the wife of one of the four medics under investigation. Gialousakis also held back tears. She is also a firefighter and joined other comrades as the four medics went behind closed doors to answer a second round of questions. But, county attorneys are not sure. They shared the investigative report with ABC Action News and pointed out key discrepancies on the night that 30-year-old Crystalle Galloway needed medical help. The county attorney said there are two different stories, coming from deputies who first responded and the medics. And that is troublesome enough to warrant a second hearing. "The county administrator felt strongly he wanted to get all four paramedics to provide a reason as to why this happened," said Rudy Haidermota, an attorney for the county. And to clear up why they didn't follow protocol, county officials said they did not take Galloway's vital signs and they did not transport her to the hospital. Gialousakis said none of the medics would endanger a life. "I feel like they were thrown to the wolves without due process," said Gialousakis. "The county respectfully disagrees," said Haidermota. And after Monday's follow-up questions, county officials feel they have enough to make a decision on the fate of the four medics. They face discipline to termination. Galloway's mom told us in a previous interview, she wants them all off the job. "I'm scared, we built a life together. I don't know what we are going to do," said Gialousakis.